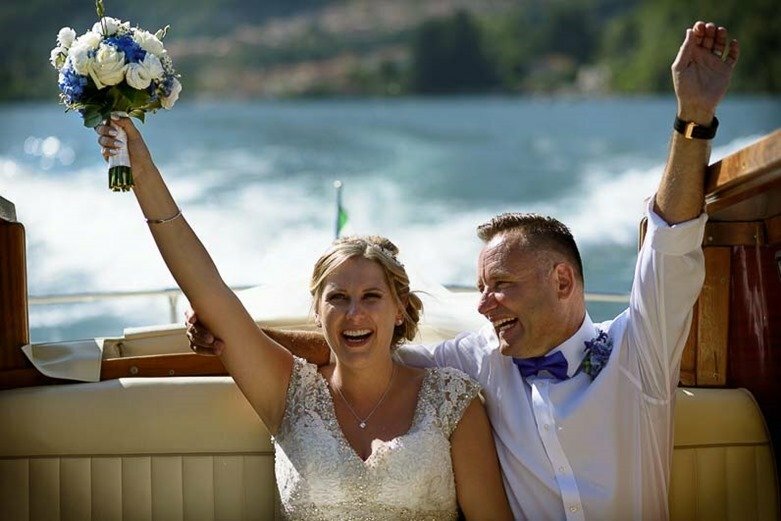 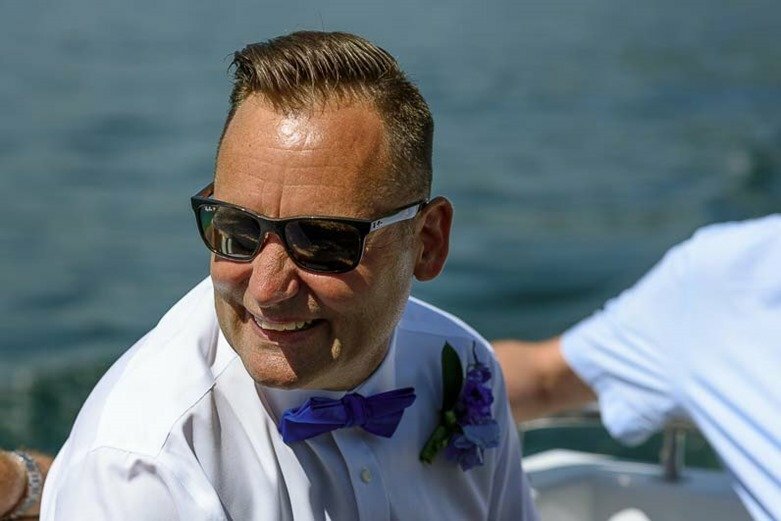 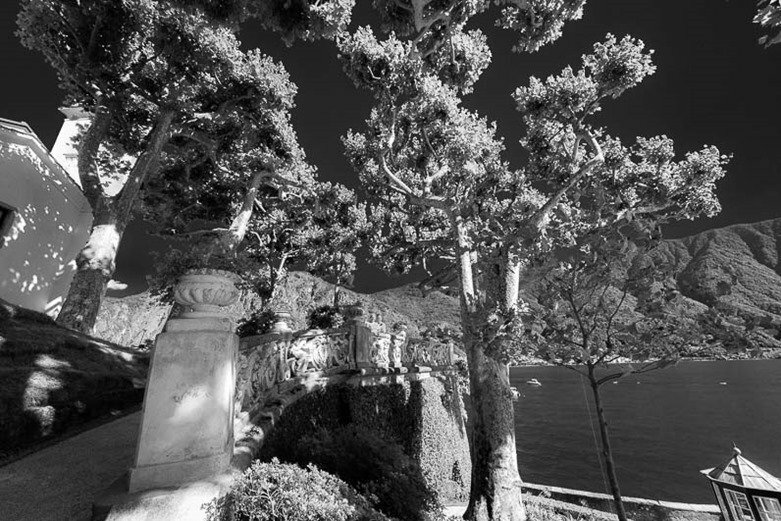 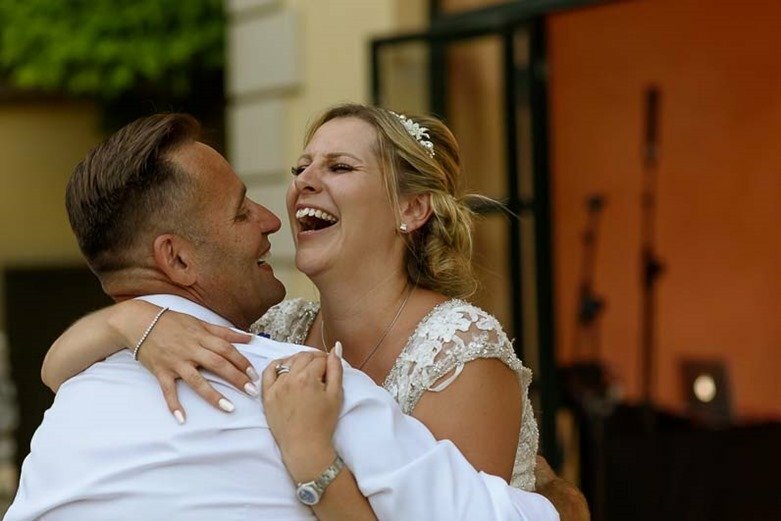 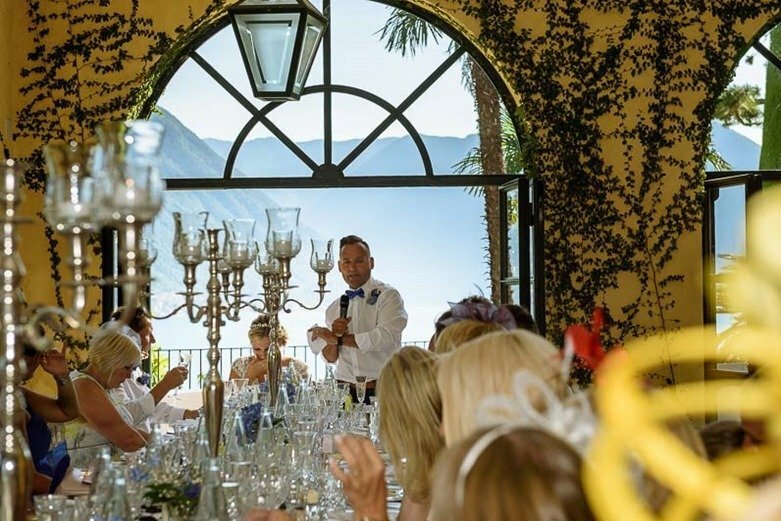 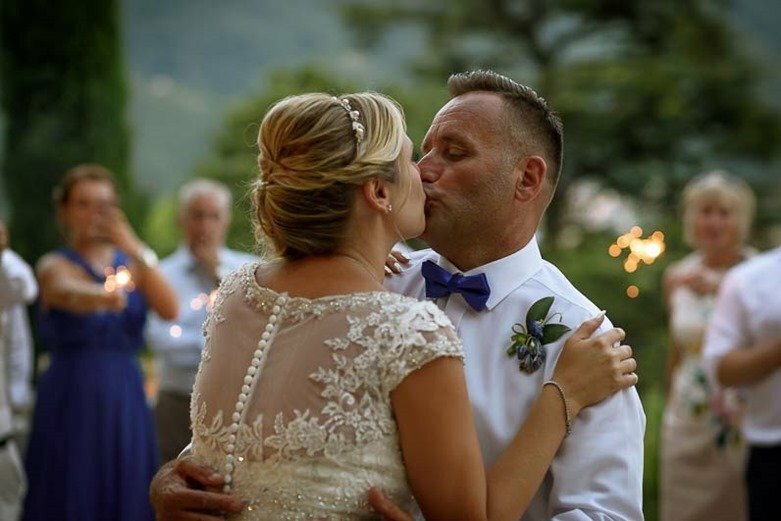 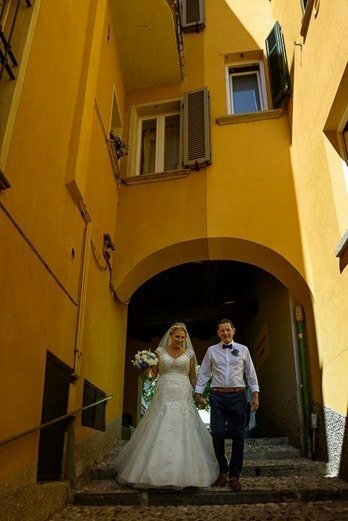 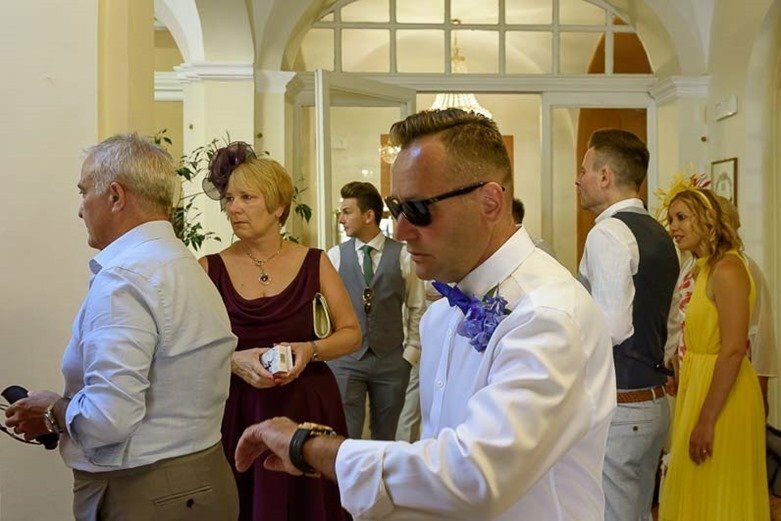 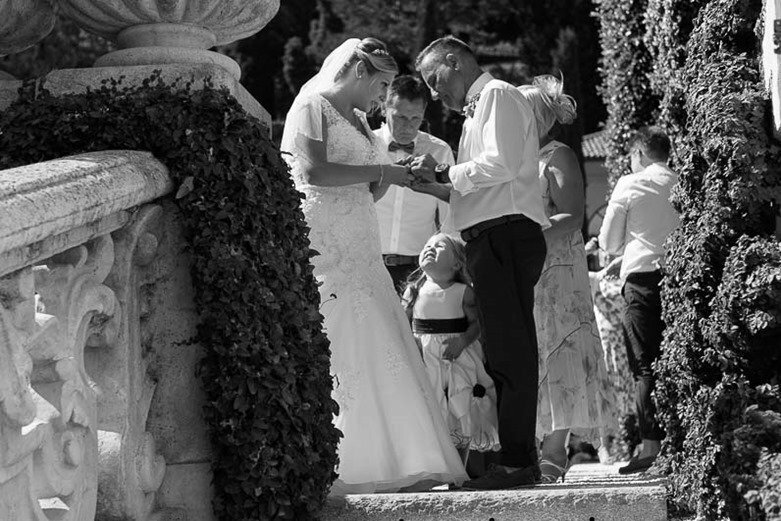 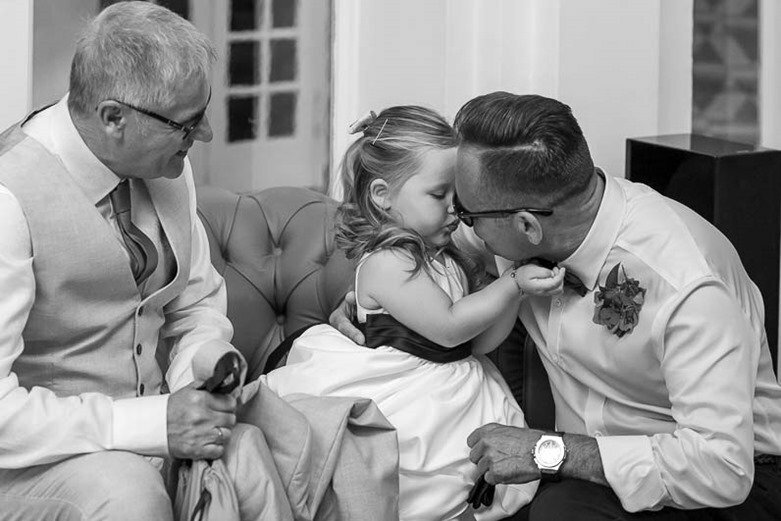 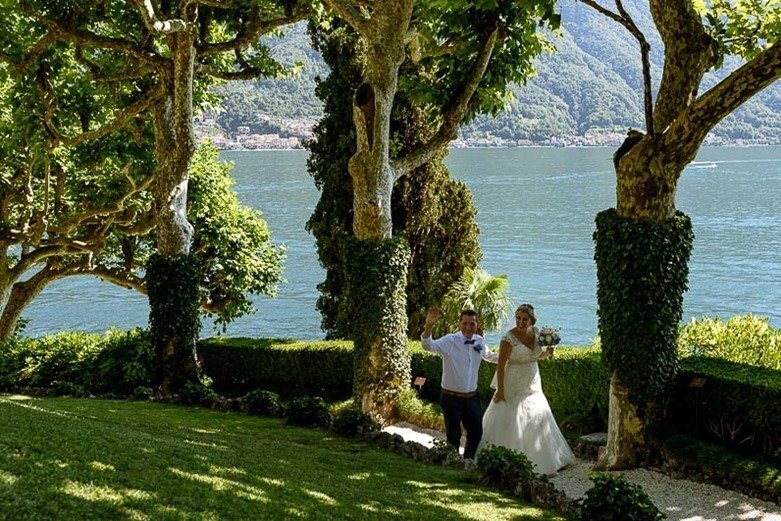 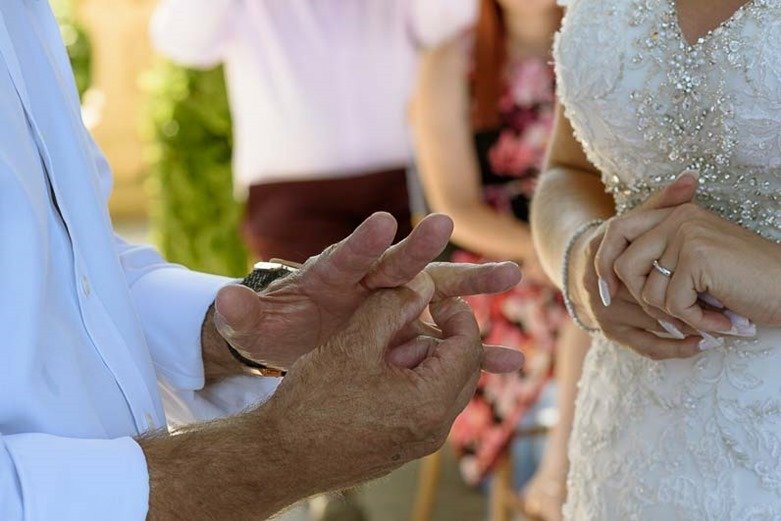 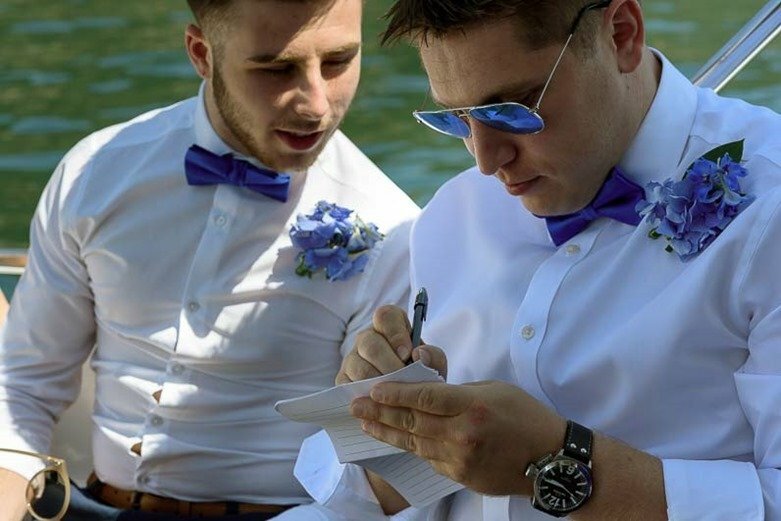 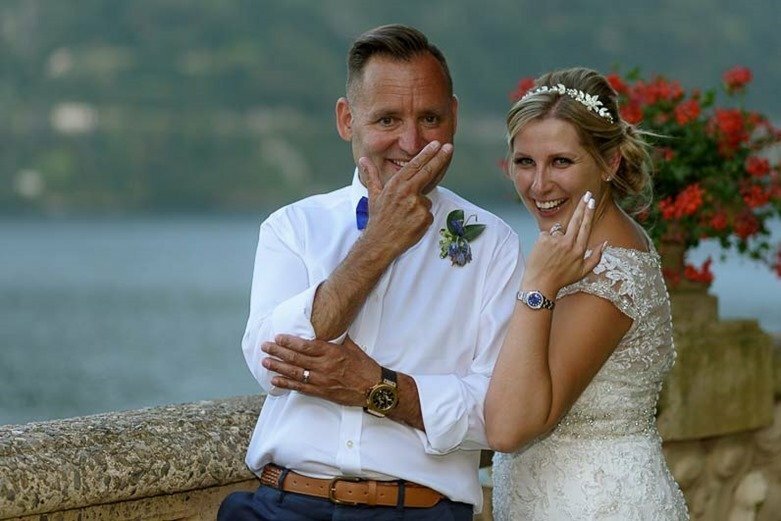 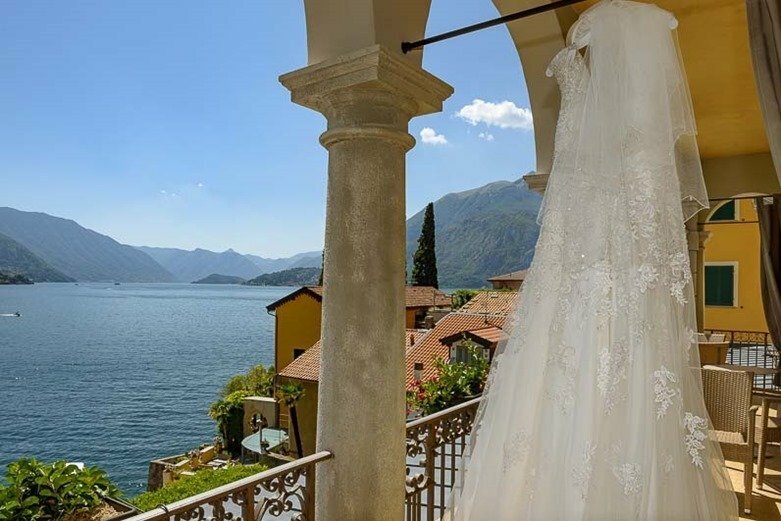 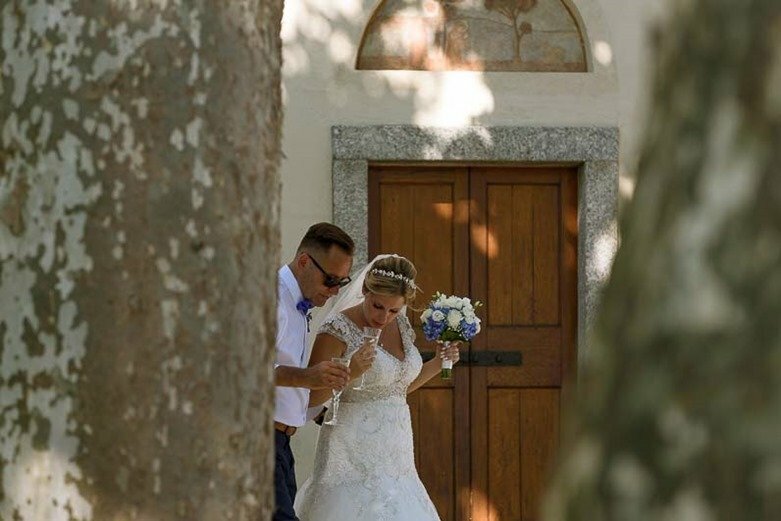 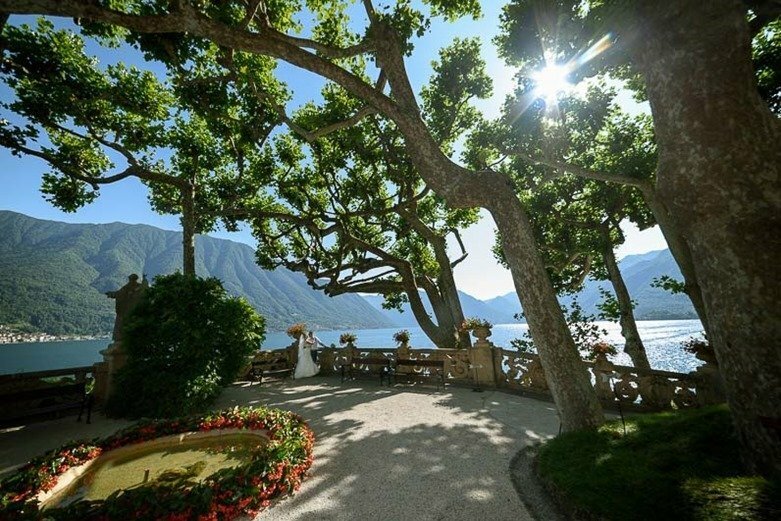 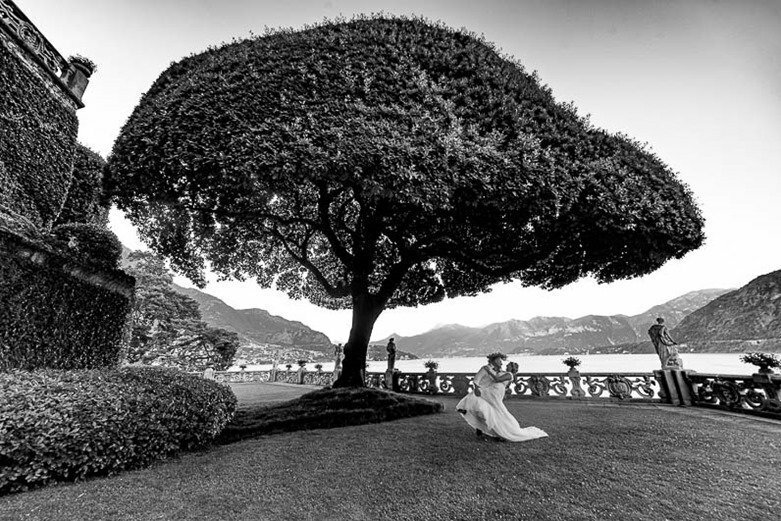 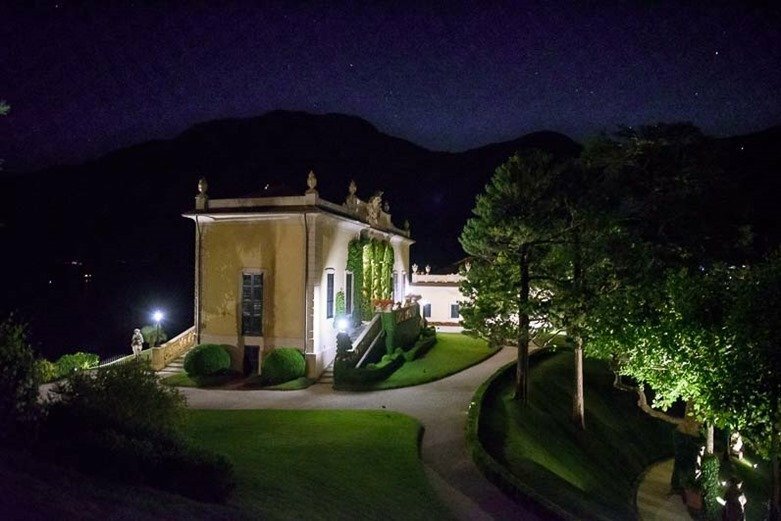 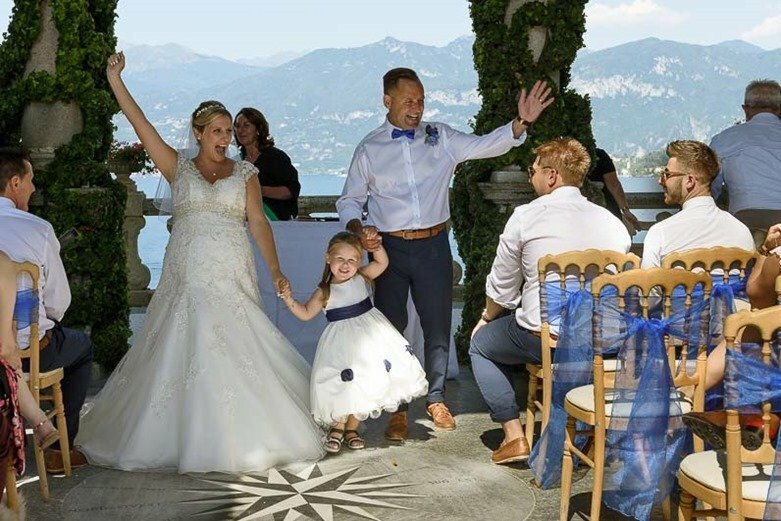 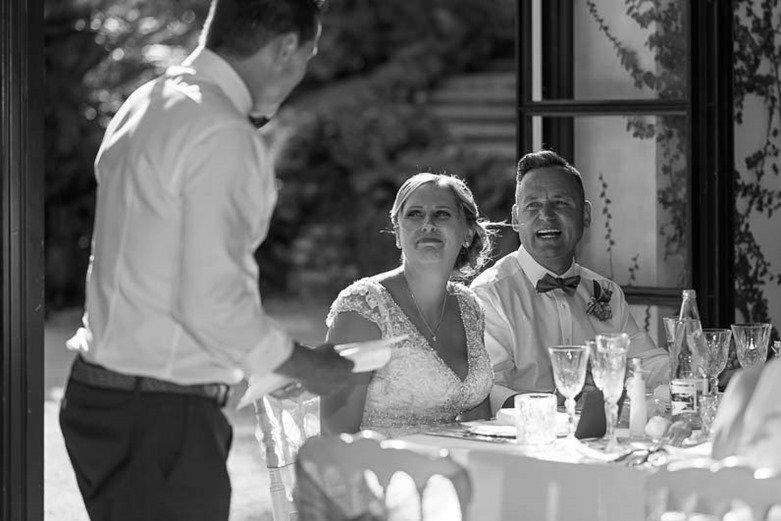 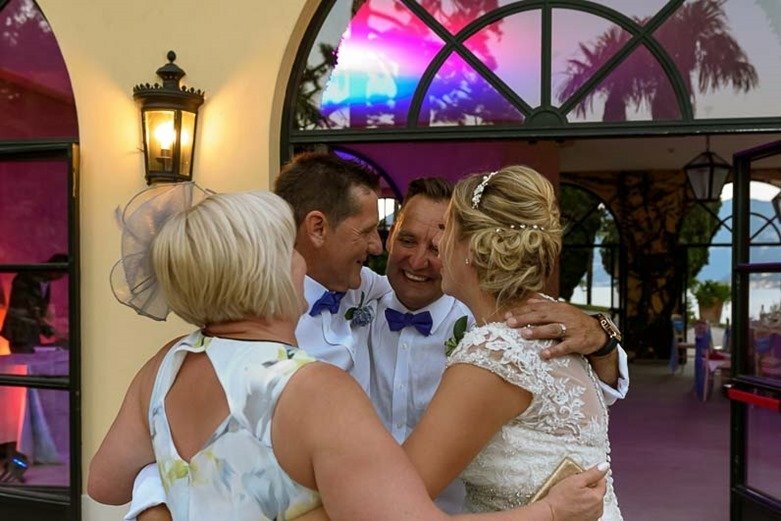 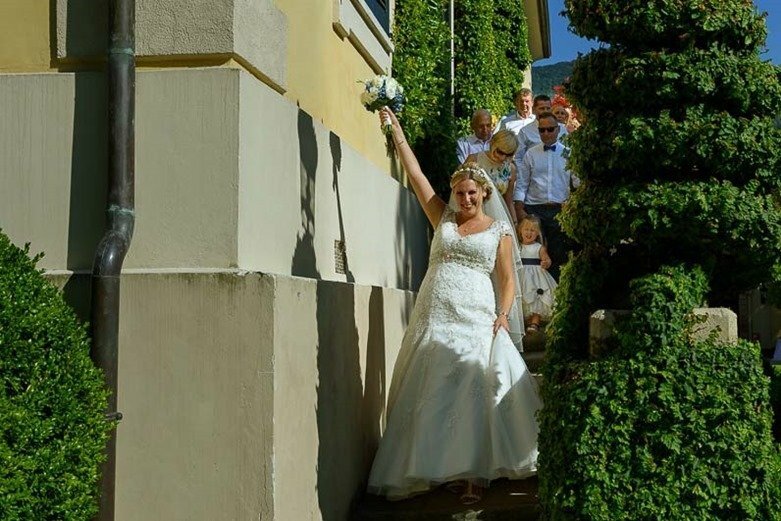 A wonderful wedding on Lake Como in two of Lario‘s most beautiful and famous locations. 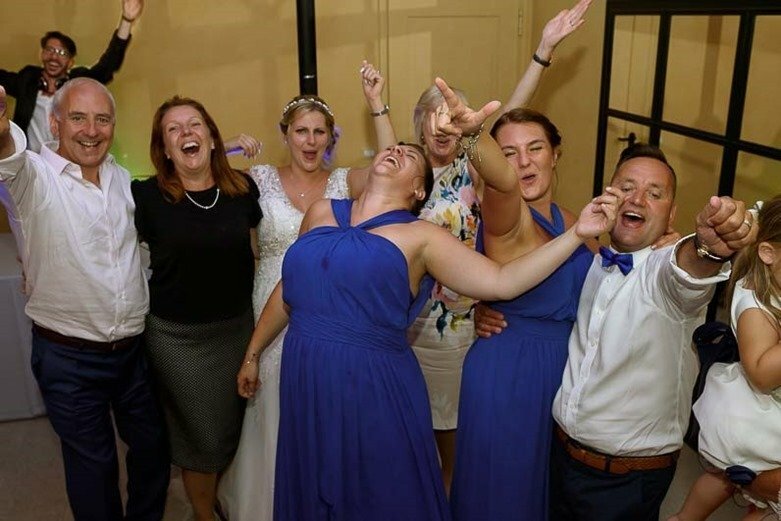 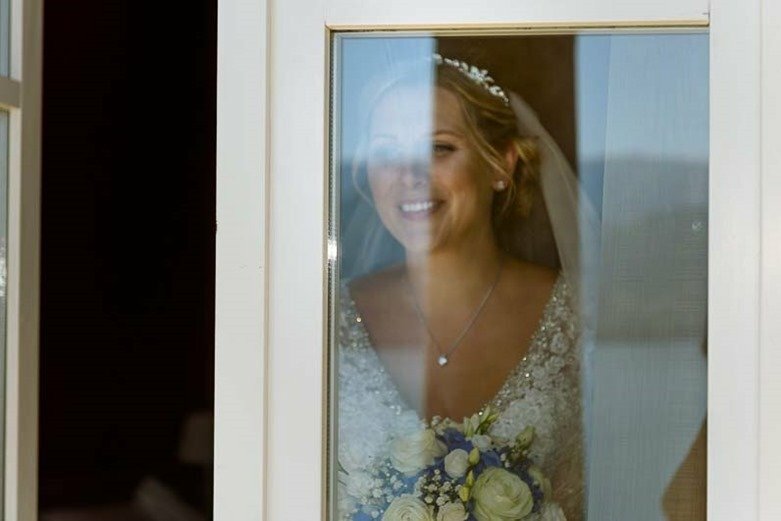 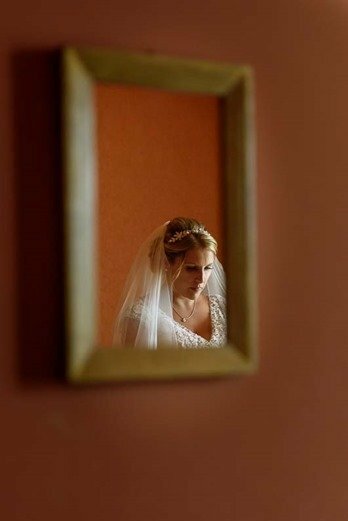 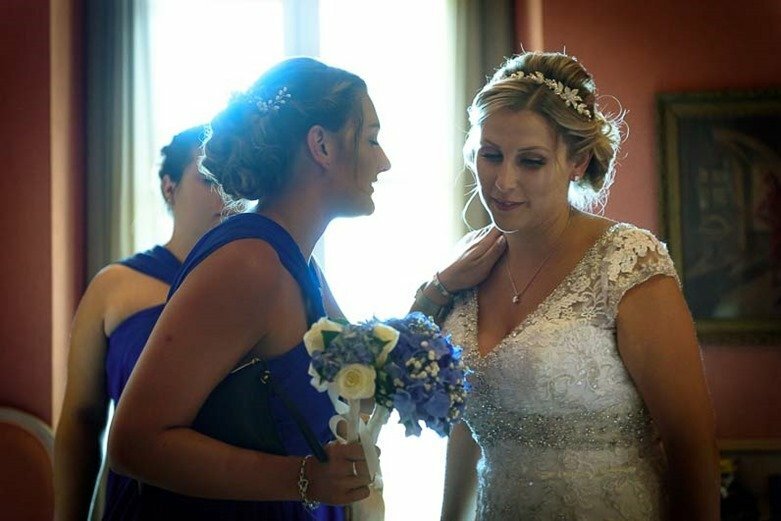 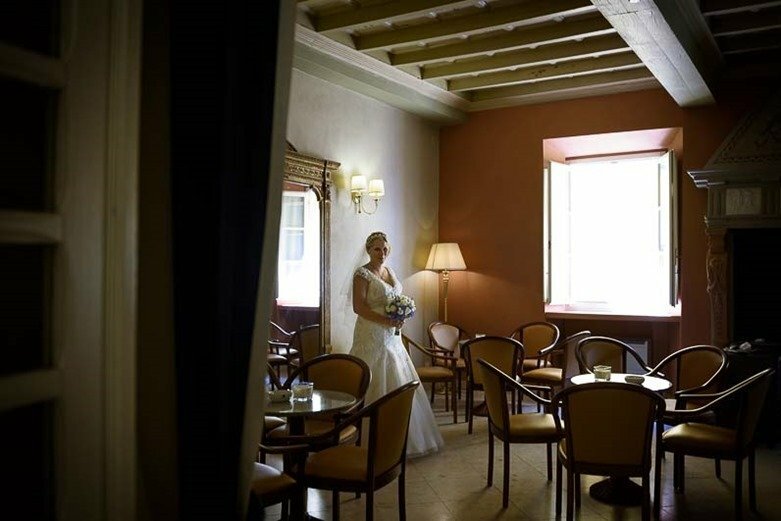 The bride and her bridesmaids got ready at the Royal Victoria in Varenna, a hotel with an old hotel tradition, which is reflected in the choice of furnishings in the various rooms. 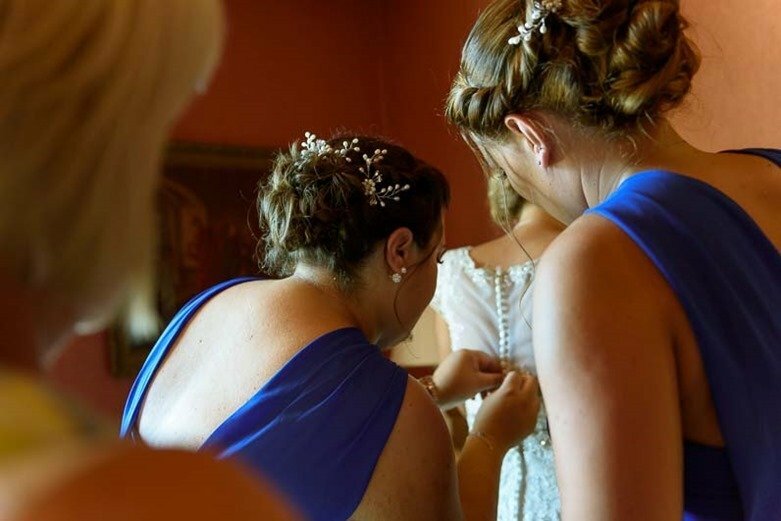 The colors chosen as the guiding thread of the wedding are the shades of blue and violet, many details in these colors: the bouquet, the chairs decorations for the ceremony etc. 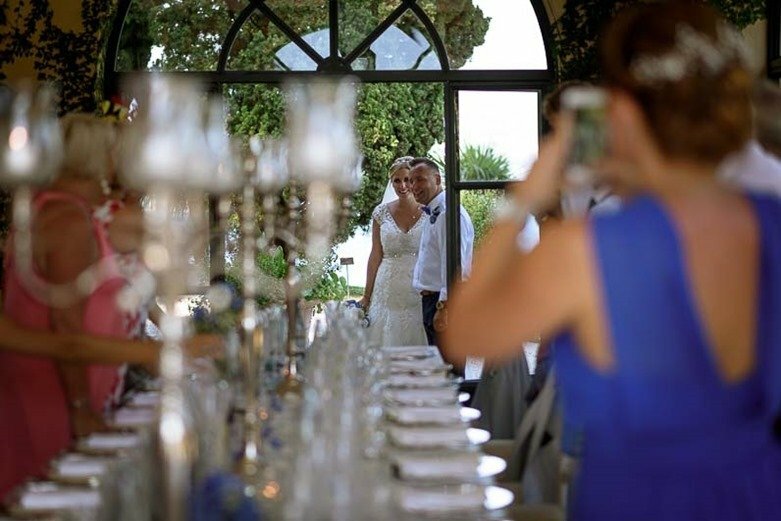 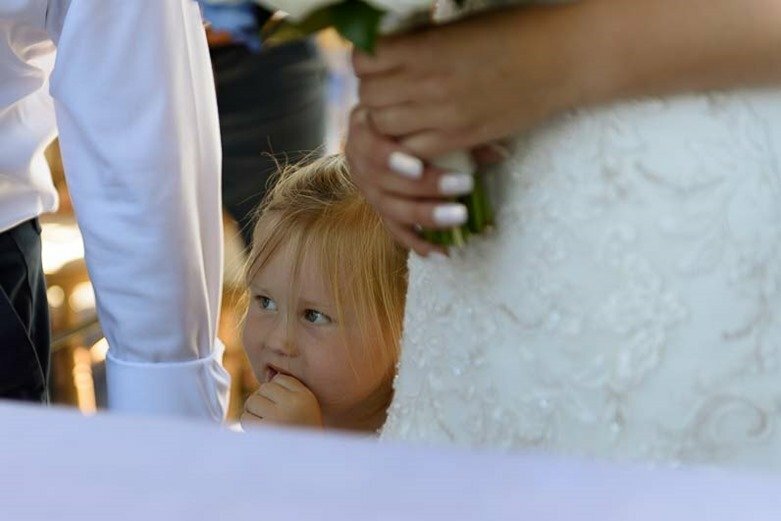 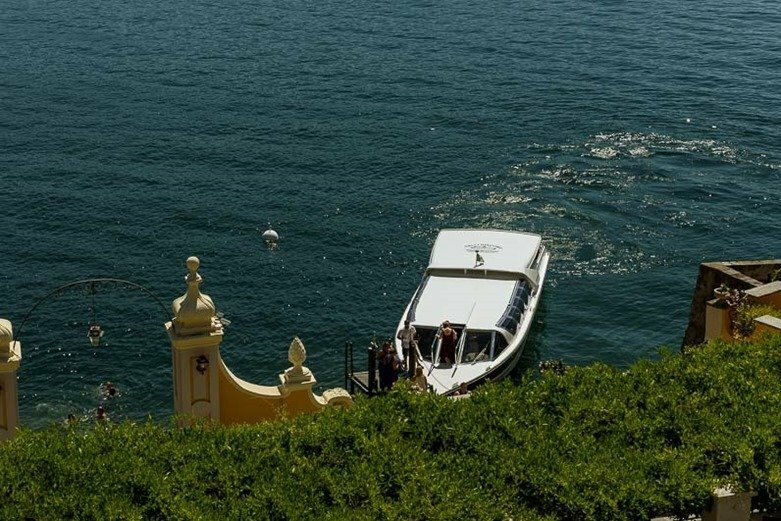 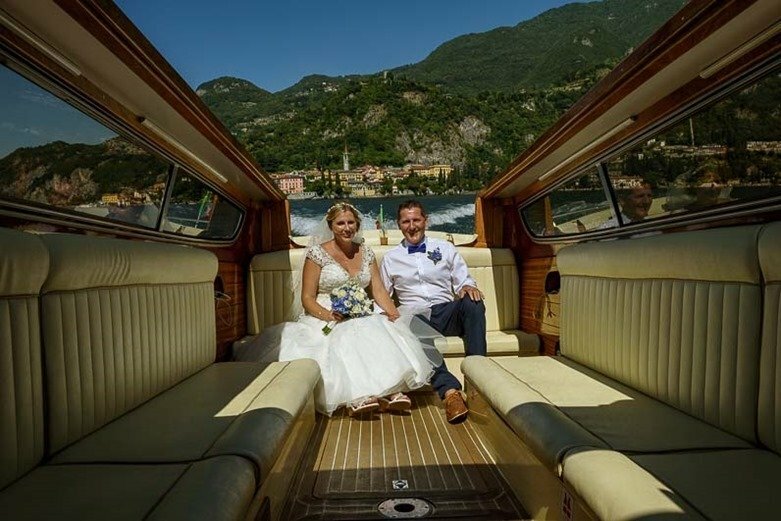 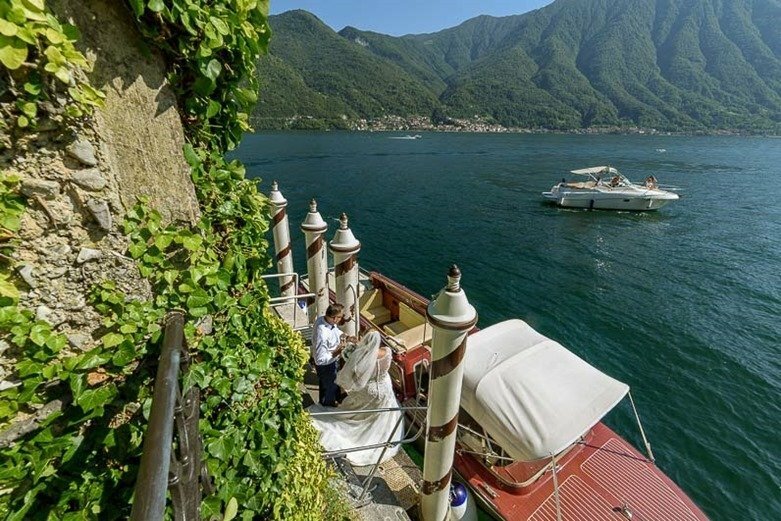 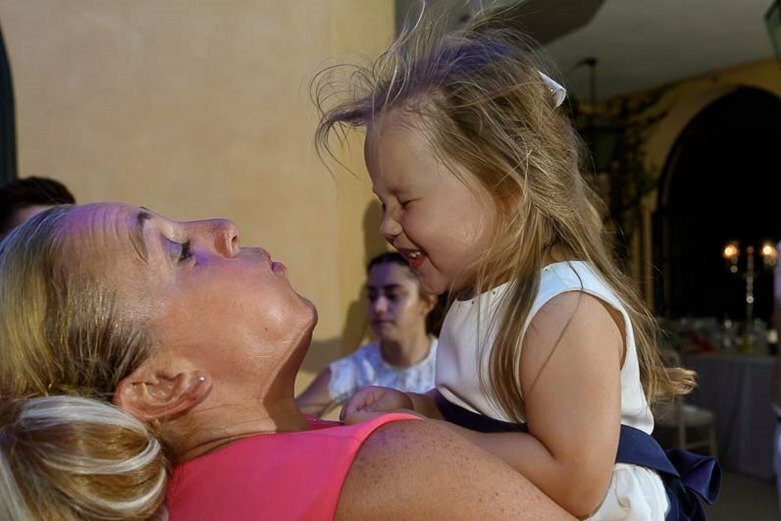 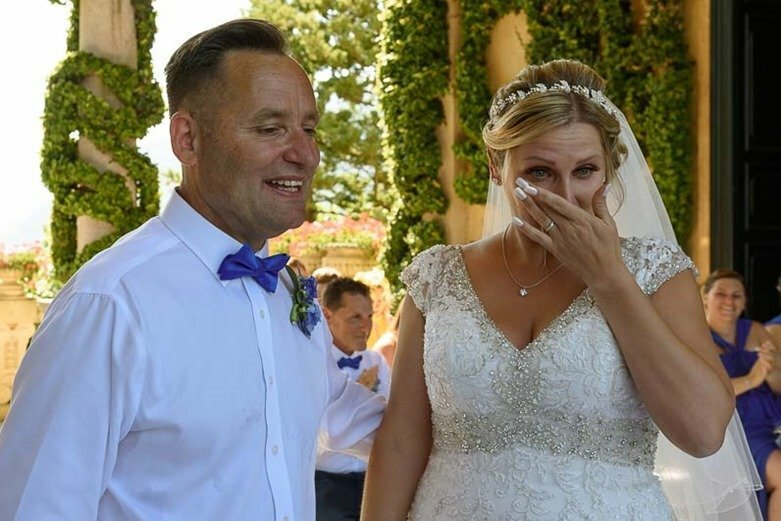 Gemma and her father reached the place of the civil ceremony, Villa Balbianello in Lenno, by boat. 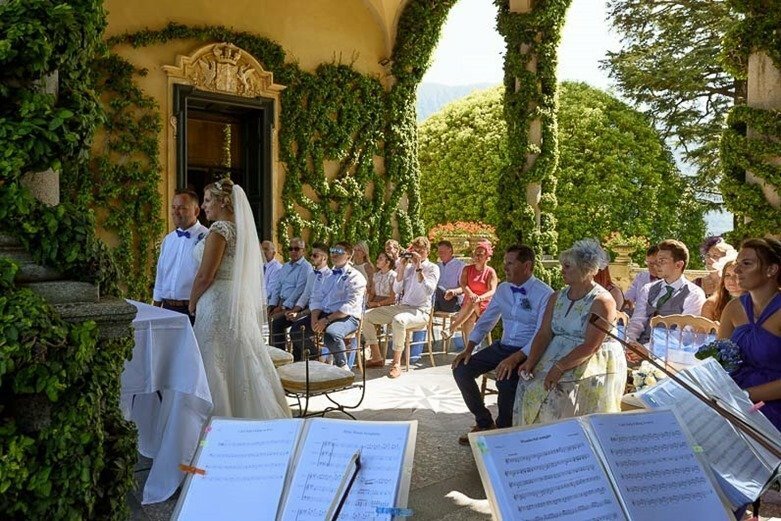 The magnificent avenue of plane trees was the perfect backdrop for the bride‘s entrance to the Loggia Durini where the ceremony was celebrated. 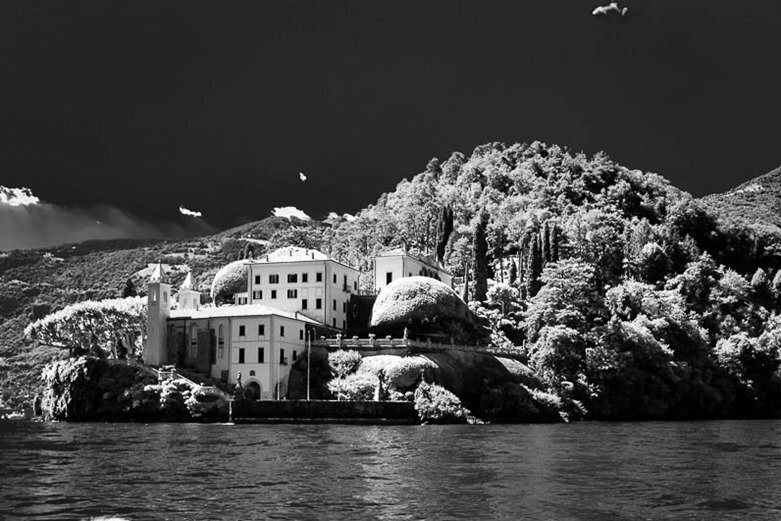 Villa Balbianello is a true architectural jewel that, thanks to its position and beauty, has been chosen as a set for numerous films, including 007 Casino Royal. 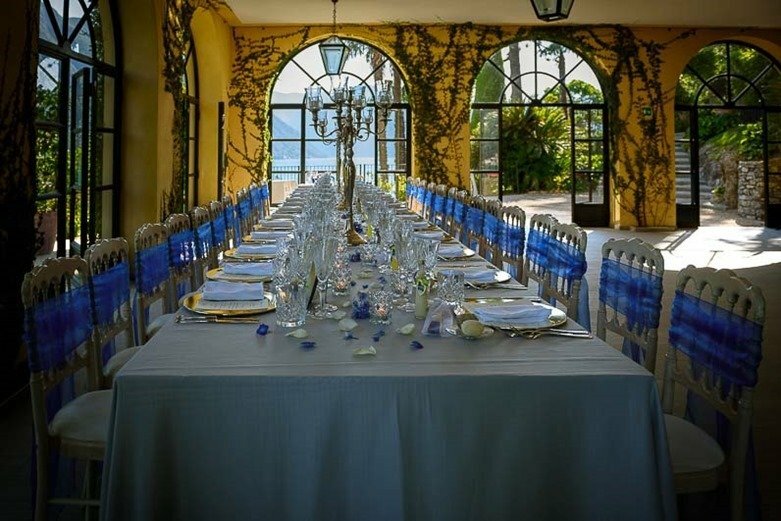 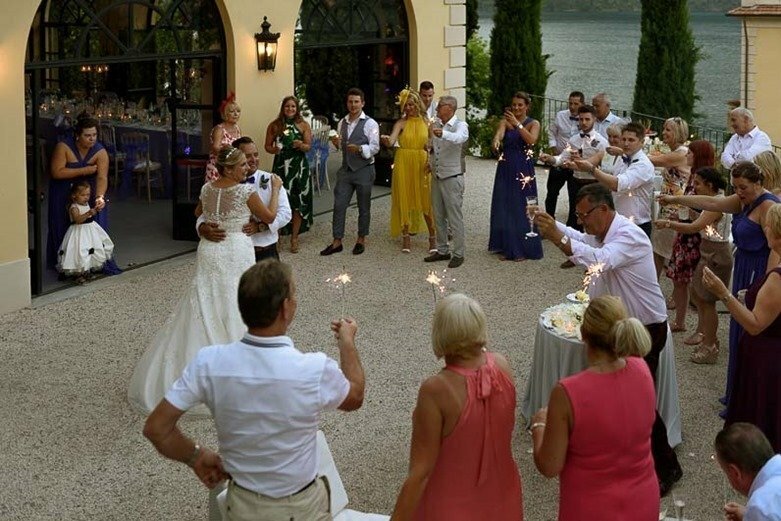 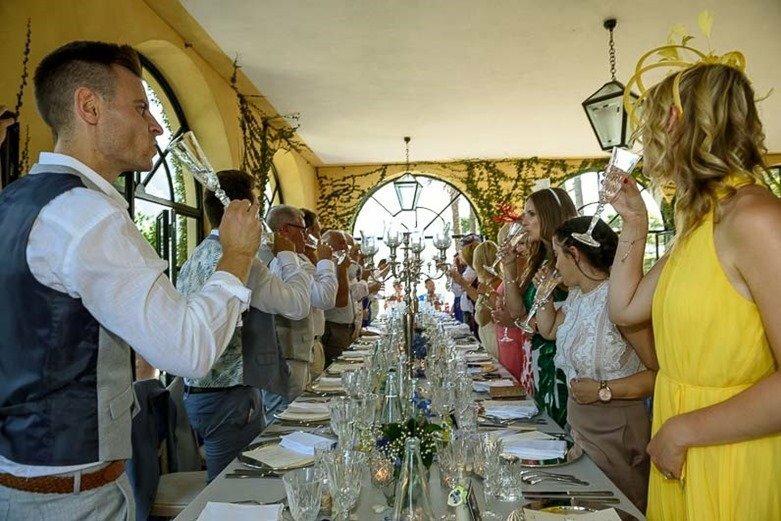 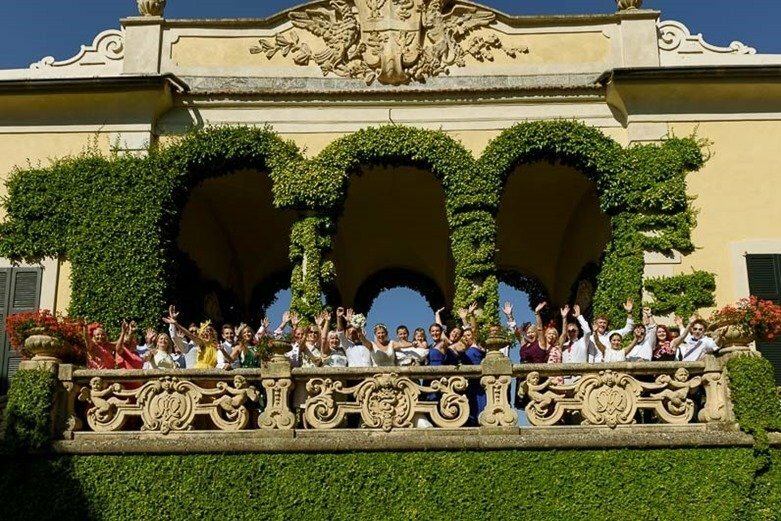 The bridal party was held in the “limonaia” of the villa set up in a very scenic: with an imperial table, candlesticks and flowers. 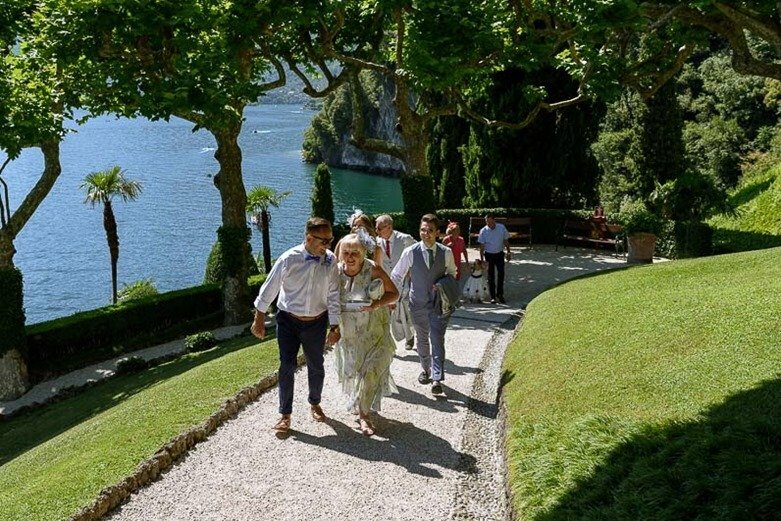 The sunset on the lake was the background for the cutting cake and the first dance of the couple.